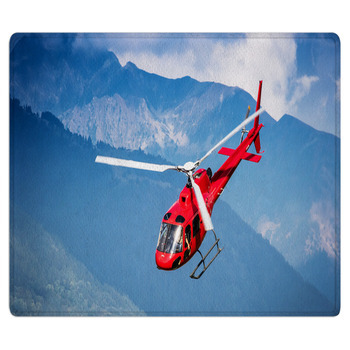 Helicopters come in a variety of forms and types. 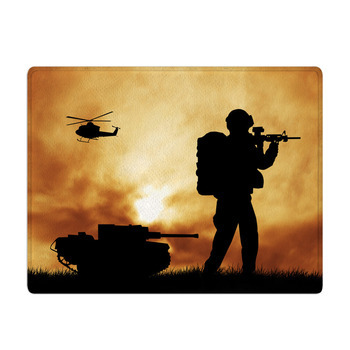 With military choppers dominating the skies in both the transport and attack roles and civilian helicopters carting around corporate executives and serving in search and rescue roles helicopters are the kings of vertical takeoff. 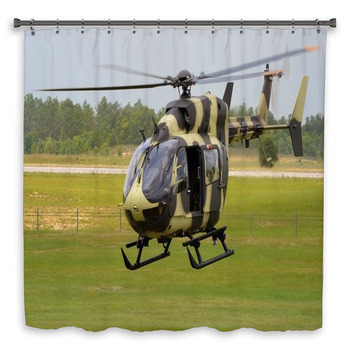 No matter the role or requirement their ability to go where no other aircraft can makes them very cool and a great choice for a custom Helicopter shower curtain from VisionBedding. Without doubt the attack helicopters of the world’s militaries are some of the most technologically advanced machines in use today. Able to perform maneuvers and eliminate targets with efficiency these aircraft are as exciting as it gets. 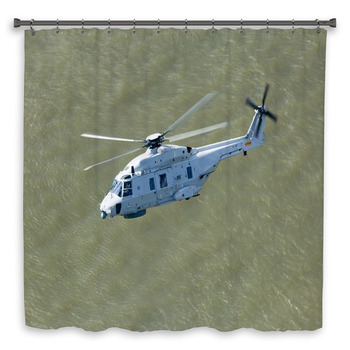 A helicopter shower curtain design showing a European attack chopper fully loaded brings a style all its own to a bathroom a teen can really enjoy. 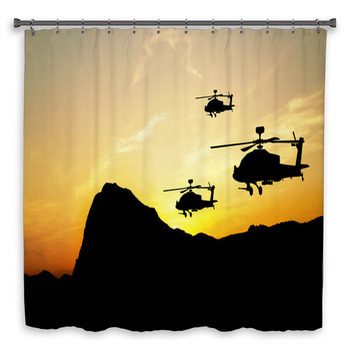 While a curtain covered in military transport helicopters lifting off and loaded with troops adds more than a little thrill to a bathroom décor style found nowhere else. 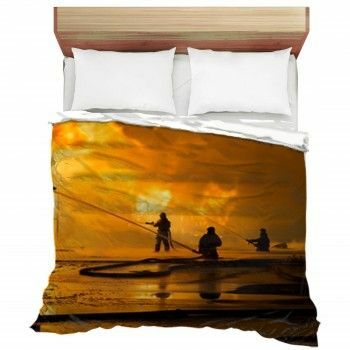 Custom shower curtains allow for a level of personalization not found anywhere else while bringing a unique style to any bathroom. For their part the many variations of the search and rescue helicopter variety deserve some special attention. 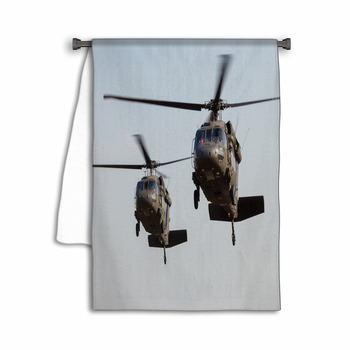 While not as well armed as their military brothers these civilian style choppers do more than their share of work. 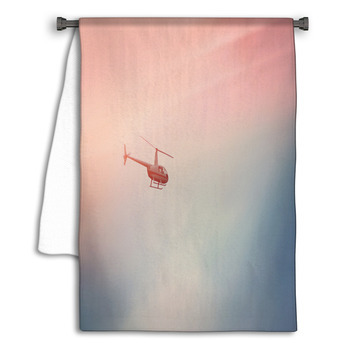 A helicopter shower curtain design featuring the bright reds and whites of a medivac chopper is the perfect fit for any helicopter pilot or crewman. 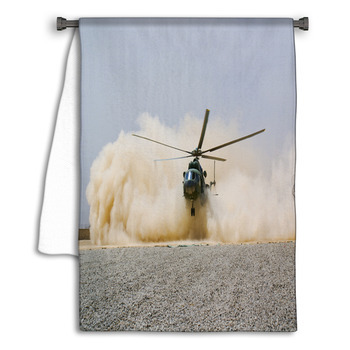 Whereas a helicopter flying over the arctic ice and snow all in hues of white and cool blue makes for a shower curtain like no other. 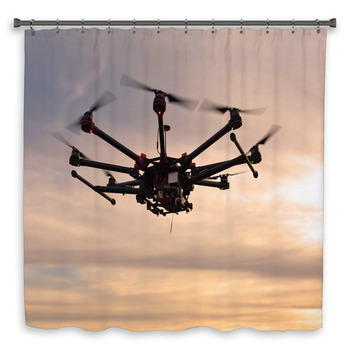 Bathroom customization doesn’t end with shower curtains. 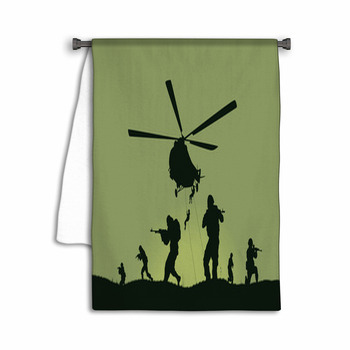 Unique hand towels along with custom shower curtains can bring a whole new style to a bathroom in one easy step. The luxurious transport choppers of the executive elite are in a class all their own. These helicopters can whisk anyone from point to point far faster than any car ever could. 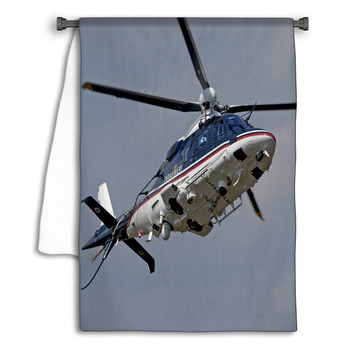 A helicopter in corporate blue with dual engines is a shower curtain design that fits right into any high class bathroom style. 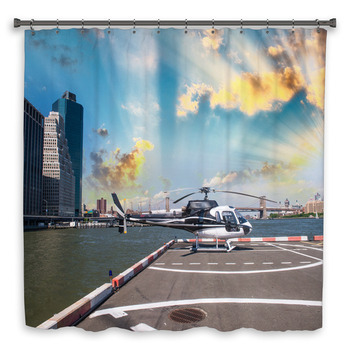 There are over 200 custom helicopter shower curtain designs available making choosing a design to fit that special bathroom style a simple matter of choice. For those of the outdoor sort a research chopper landing in the remote and well forested woods brings a sense of the wild unique style to a bathroom.